Tags: gold ring, stackeable ring, zircon stones. 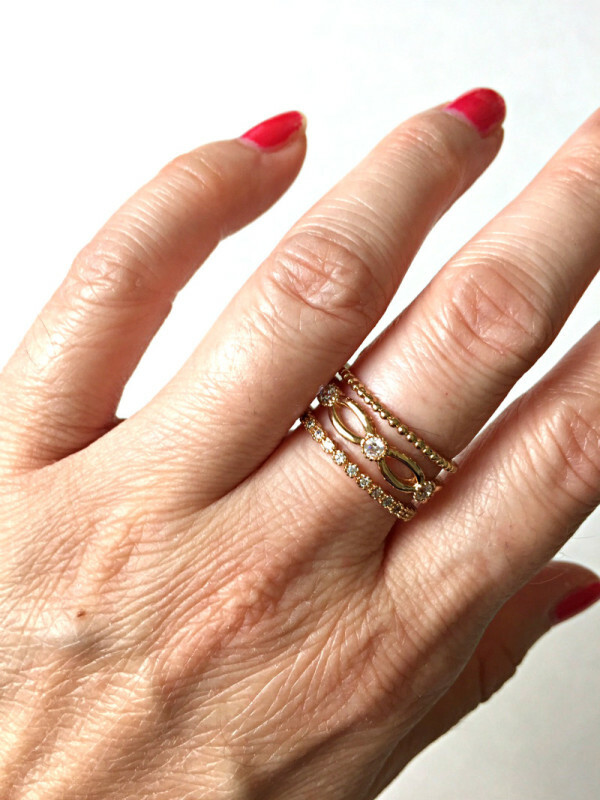 Our stackable zircon rings gives the appearance of three stacked rings but its actually one ring! 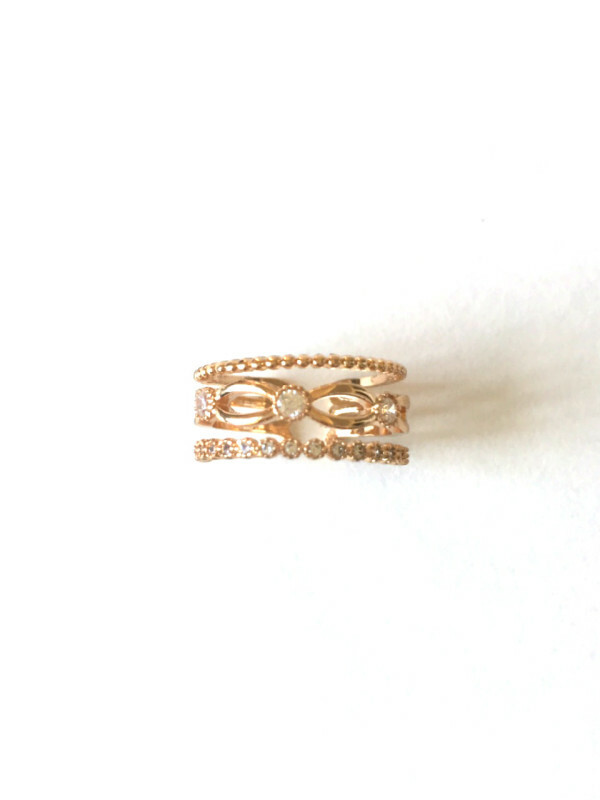 Available in a gold setting and adorned with tiny zircon stones, this delicate ring is intricate and gorgeous. This ring is made of brass and comes in one size (roughly a size 7).